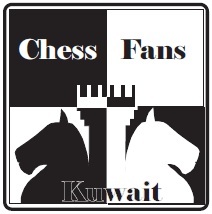 A few amazing games took place last night at the Kuwait Chess Federation. 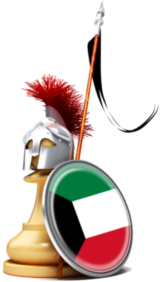 Nasser Al Maqseed, who was the only player with a perfect score of 4.0/4 was soundly defeated by Taher Al Khateeb in a complicated yet interesting Sicilean defense. 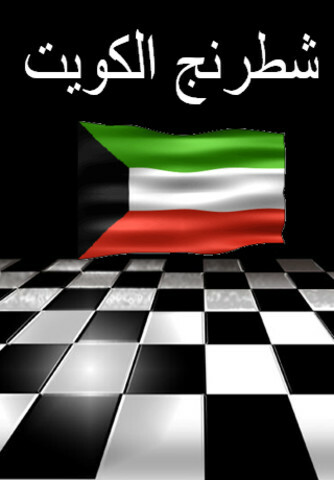 Nasser defended soundly but Taher destroyed his defences and won after a complicated endgame. Another surprising thing that happened was Adel Al Amiri DREW against the Kuwait Champ Bader Al Hajeri. Not only did he draw, but he had a winning advantage as well! After a very long 4 hours and sacrificing the Rook for two pawns, Adel thought the game was a draw. 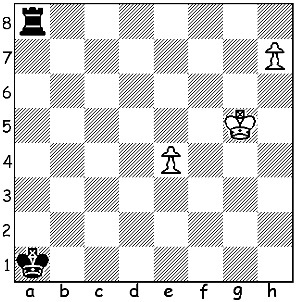 See the final position below where Adel accepted the draw. Detailed Pairing and results from the will be posted soon. Pictures and more detailed report will be updated into this post soon.